2 Beds 2 Baths 1 Partial Bath 1,334 Sq. ft. This is a Short Sale and Property is being sold in as is condition. 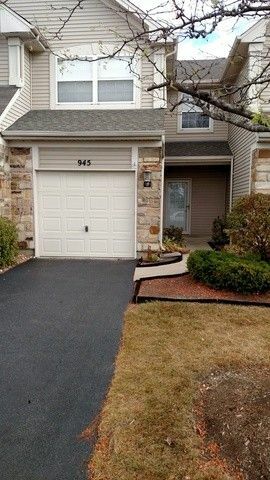 Most of the short sale is already done, buyer walked just before the approval...........2 story town home in great location near major roadways in Lake in the Hills, Algonquin and Crystal Lake. Has eat in kitchen and all appliances. Spacious living room with fireplace. Dinning room leads to large deck. Second floor offers a large master bedroom with vaulted ceiling and generous closet space, good sized second bedroom plus great loft for reading nook or study area and a second floor laundry room. Conveniently located to I90, Metra, Shopping, and walking distance to new park!